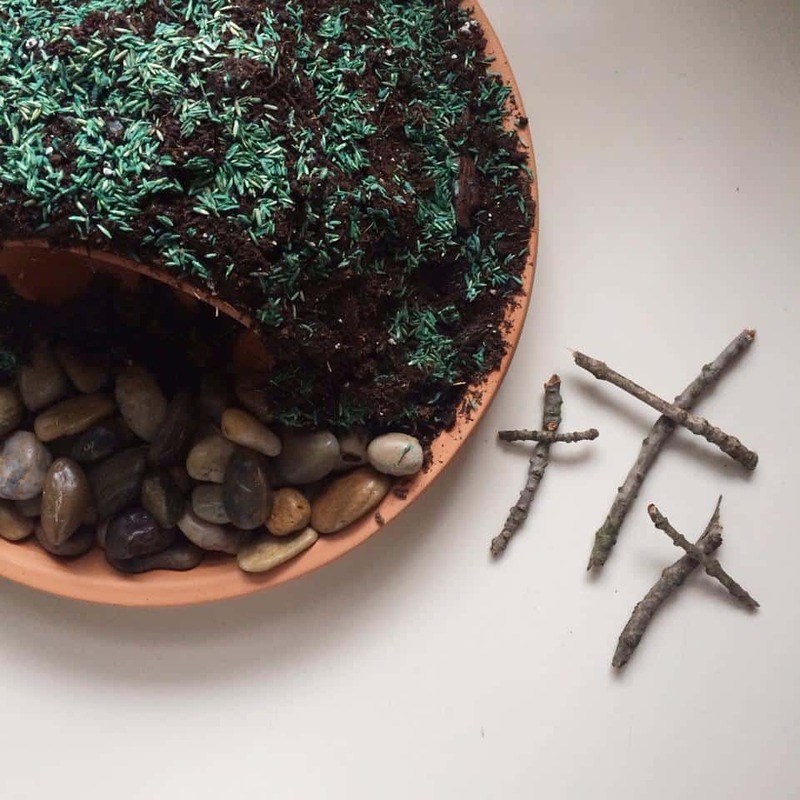 This morning we attempted to make an Easter-garden, using potting soil, a small clay pot for the tomb, shade grass seed, rocks and some crosses made from twigs. Sprinkle grass seed generously on top of the dirt and spritz with a water bottle a few times a day. Sit in a warm, sunny spot. Should sprout in 7-10 days. 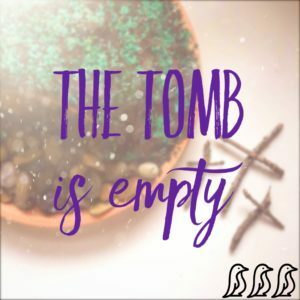 We may have started ours a little late, but either way the tomb is EMPTY.